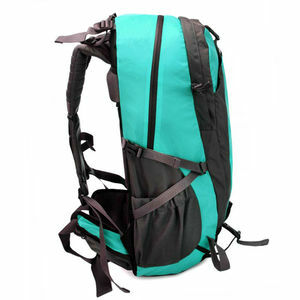 PROMOTIONAL waterproof backpack Travel backpack, promotional backpack, school backpack bag, trolley backpack, trekking backpack, hiking backpack, camping backpack, cycling backpack, sports backpack, outdoor backpack Business type Manufacturer & Exporter, Welcome to China and visit our factory; Main Product series Soft bags, backpacks, trolley bags, hardshell trolley luggage(PC,ABS,PP), soft trolley luggage ( Nylon,Polyester, EVA, cloth, PVC, PU), etc. Can printing your design pattern & LOGO; Zipper systems of Backpack bag : Zipper&rsquo;s Material: Nylon, Polyester, Iron, and Copper, optional; Zipper&rsquo;s size: 3#, 5#, 8#, 10#, optional; Color of Backpack bag : Black, white, red, pink, orange, blue, green, yellow, silver, purple, brown, or customized; LOGO & Label Printing of Backpack bag : Sublimation, silk screen printing, hot stamping, embossed, debossed, embroidered etc, optional; Trolley systems of Backpack bag ( optional ): Systems: build in, or other; Handle: aluminum alloy, iron, optional; Wheels: Rubber, TPU, iron, stainless steel, zinc alloy, aluminum alloy + Rubber, optional; Packaging & Shipping Details of Backpack: No. 7. Above according to AQL standards; Backpack Series : OEM: All the dimensions, colors, design pattern, LOGO and materials of the Backpack bag can be customized according your requirement; Other Products Series of Luggage & Bags: Our factory specializing in those luggage & bags as follow: 1. Soft bag: backpack, sports bag, school bag, laptop bag, business bag, cooler bag, handbag, cosmetic bag, diaper bag, kids bag, etc; 2. 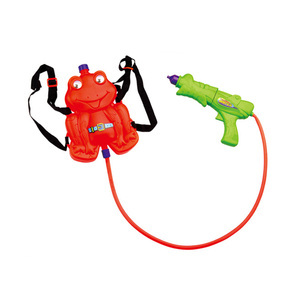 Trolley bag: trolley bag, travel bag, trolley cooler bag, trolley backpack, etc. 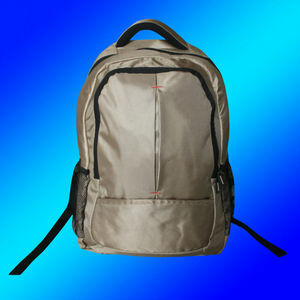 Outdoor Sport backpack Rucksacks, Promotional Backpacks, military backpack , hiking backpack , sports backpack , backpack bag wholesale Travel backpack, promotional backpack, school backpack bag, trolley backpack, trekking backpack, hiking backpack, camping backpack, cycling backpack, sports backpack, outdoor backpack Business type Manufacturer & Exporter, Welcome to China and visit our factory; Main Product series Soft bags, backpacks, trolley bags, hardshell trolley luggage(PC,ABS,PP), soft trolley luggage ( Nylon,Polyester, EVA, cloth, PVC, PU), etc. Can printing your design pattern & LOGO; Zipper systems of Backpack bag : Zipper&rsquo;s Material: Nylon, Polyester, Iron, and Copper, optional; Zipper&rsquo;s size: 3#, 5#, 8#, 10#, optional; Color of Backpack bag : Black, white, red, pink, orange, blue, green, yellow, silver, purple, brown, or customized; LOGO & Label Printing of Backpack bag : Sublimation, silk screen printing, hot stamping, embossed, debossed, embroidered etc, optional; Trolley systems of Backpack bag ( optional ): Systems: build in, or other; Handle: aluminum alloy, iron, optional; Wheels: Rubber, TPU, iron, stainless steel, zinc alloy, aluminum alloy + Rubber, optional; Packaging & Shipping Details of Backpack: No. 7. Above according to AQL standards; Backpack Series : OEM: All the dimensions, colors, design pattern, LOGO and materials of the Backpack bag can be customized according your requirement; Other Products Series of Luggage & Bags: Our factory specializing in those luggage & bags as follow: 1. Soft bag: backpack, sports bag, school bag, laptop bag, business bag, cooler bag, handbag, cosmetic bag, diaper bag, kids bag, etc; 2. Trolley bag: trolley bag, travel bag, trolley cooler bag, trolley backpack, etc. Trolley luggage bag Luggage bag manufacturer More than 1000 styles of luggage optional 360&deg; trolley systems Luggage OEM Customized Hard plastic Trolley case /Zipper luggage /hard case Business type Manufacturer & Exporter, Welcome to China and visit our factory; Main Product series Soft bags, backpacks, trolley bags, hardshell trolley luggage(PC,ABS,PP), soft trolley luggage ( Nylon,Polyester, EVA, cloth, PVC, PU), etc. Features of Luggage: Main Material of Luggage : Genuine Leather, PU, nylon, polyester, PC, ABS, PVC, PP , aluminum, canvas and so on; Size of Luggage : 15,16,17,18,19,20,21,22,23,24,25,26,27,28,29,30,31,32 inch, optional; Lining of Luggage : Nylon or Polyester 70D, 150D, 190D, 210D, 420D etc. 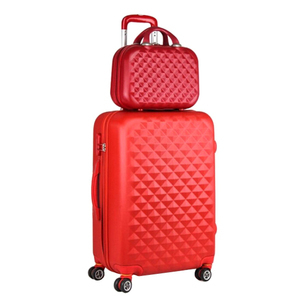 optional; Combine Kits of Luggage : 1pcs, 2pcs, 3pcs, 4pcs, 5pcs per set, optional; OEM: All the dimensions, colors, design pattern, LOGO and materials of the Luggage can be customized according your requirement; Packaging & Shipping Details of Luggage: No. 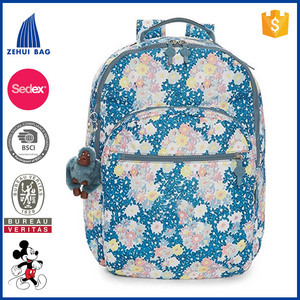 Alibaba.com offers 5 seoul backpacks products. About 60% of these are backpacks. There are 5 seoul backpacks suppliers, mainly located in Asia. The top supplying country is China (Mainland), which supply 100% of seoul backpacks respectively. Seoul backpacks products are most popular in North America, Western Europe, and Northern Europe.